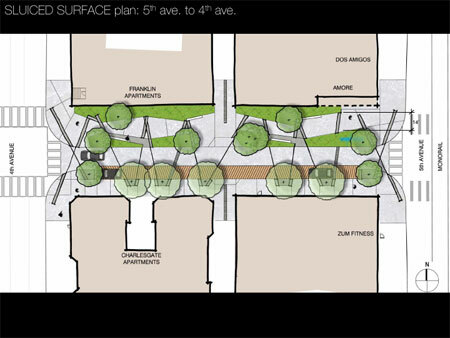 In October 2009, Seattle Parks selected SvR Design + Hewitt as the primary design consultant for four Belltown blocks, from First to Fifth Avenues will be turned into Seattle’s first park boulevard with swales and natural landscaping. Last month SvR Design + Hewitt presented two different design options for Bell Street in the Seattle neighbourhood of Belltown to the community to receive feedback. 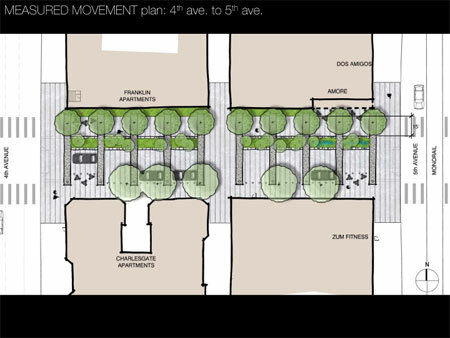 The design team presented two options for the first area of the project between 4th and 5th Avenue. The design team walked the audience through a comparison of the options requesting input on the “Sluiced Surface” option and the “Measured Movement” option. 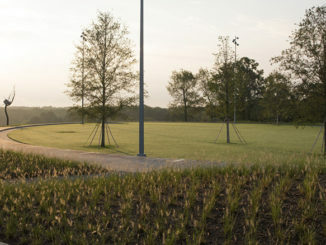 The community offered positive feedback and direction for the design of the park. The community encouraged the designers to look into a combination of the two designs emphasising the importance of safety, activation, lighting, and using green / recycled materials. Nate Cormier, senior landscape architect at SvR, said the two designs are meant to represent “bookends” of the area’s history. Bell Street and the area around it have changed dramatically in the past 100 years. Tons of rock and soil that originally formed a steep hill there were removed and the land was regraded. After receiving the communities feedback the team will come up with a single design and present it at a public meeting in April. 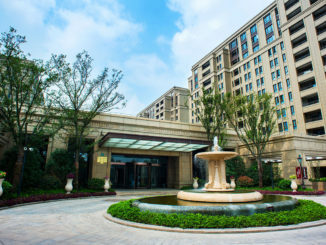 Construction should occur in 2011.